Professional industrial extension ladder manufactured and certified to BS2037 Class 1. Fitted with comfortable 'D' shaped rungs and solid moulded feet at both ends. 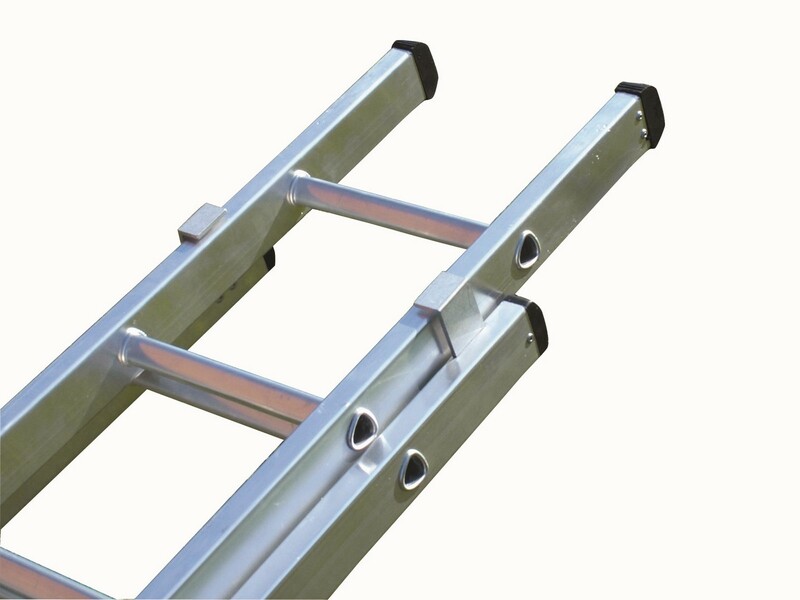 These ladders are built to be used for heavy duty work while being easy to handle. Certified to BS2037 Class 1. Professional industrial extension ladder. Easy to handle yet incredible rigid in relation to weight.